Chester Football Club – Official Website » RED INSURE | Main Stand Sponsors celebrate 10 years! 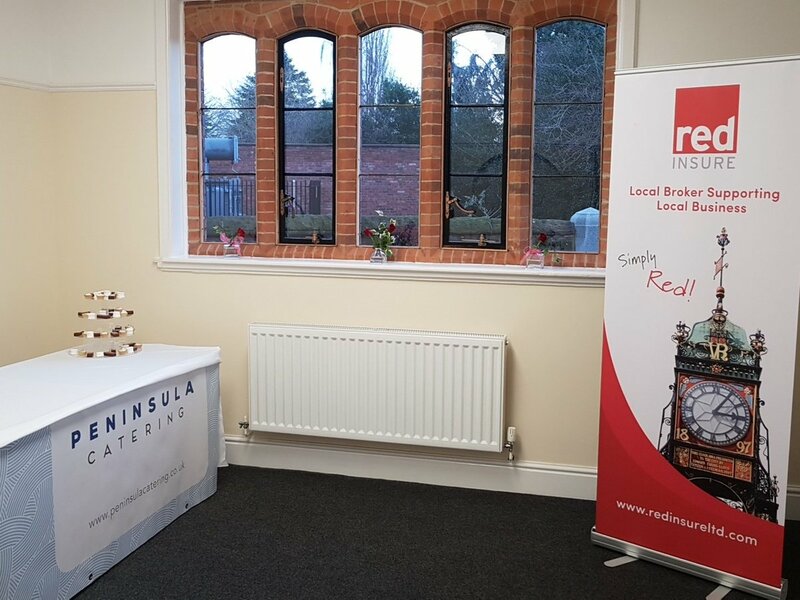 RED INSURE | Main Stand Sponsors celebrate 10 years! Chester FC players, staff and board members visited our good friends at Red Insure yesterday to celebrate their 10 year anniversary. Our Main Stand sponsors were also marking the milestone with the opening of their new offices right in the heart of the City – Grosvenor Park Road. Manager Marcus Bignot attended, along with players James Akintunde, Ryan Astles, Tom Crawford, Matty Waters and Harry White. Chester FC board members also went along. Thanks to the generosity of everyone attending, Red Insure raised £820 to be donated directly to the football club to help #BackTheBlues! On behalf of everyone at Chester FC, we’d like to thank Red Insure for their generosity and also hospitality in what was a fantastic event yesterday evening. For more information on Red Insure, click here to head over to their official website.